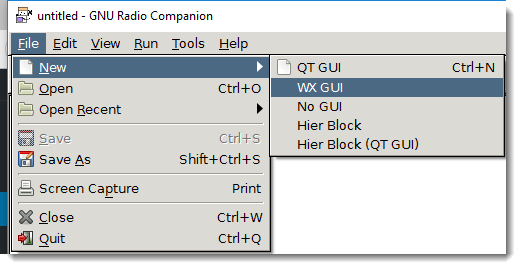 Notice that the ID is “top_block” (that’s the default), and that the Generate Options is “WX GUI” (QT GUI is the default). 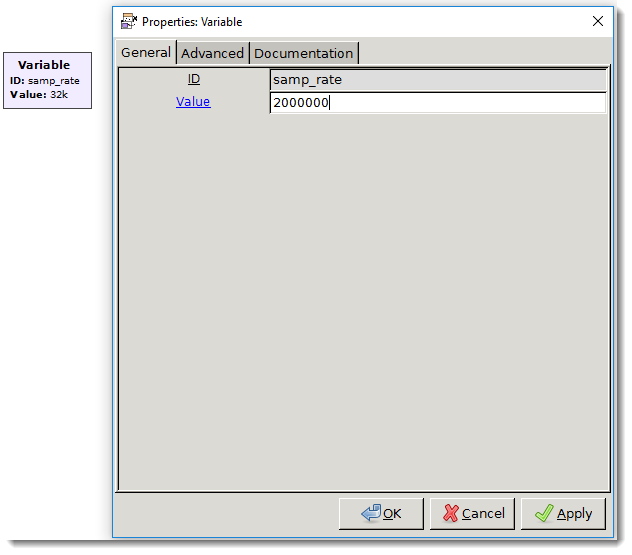 Variable is a block that defines a variable for the sample rate: samp_rate. 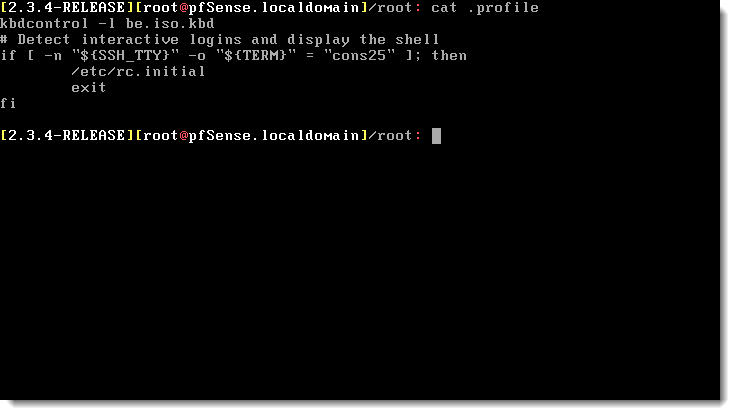 By default, it’s 32k (32000), but that’s too small. 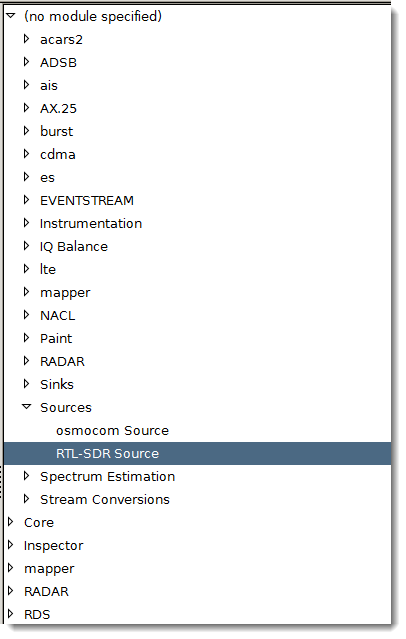 Now we will add a block that represents our SDR as a source of data. 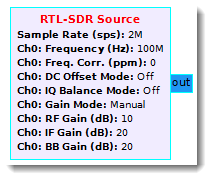 Go to the right menu and select “RTL-SDR Source” (you can click the search button on the toolbar to search for this block). 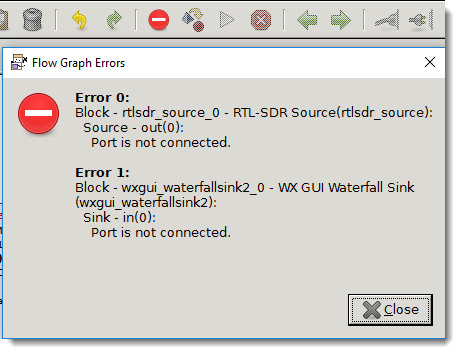 Notice that the title of this block is in red: that’s to indicate that there is an error with this block (it’s not connected). 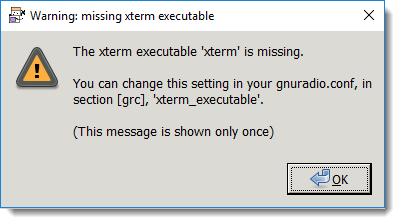 We will fix that soon. 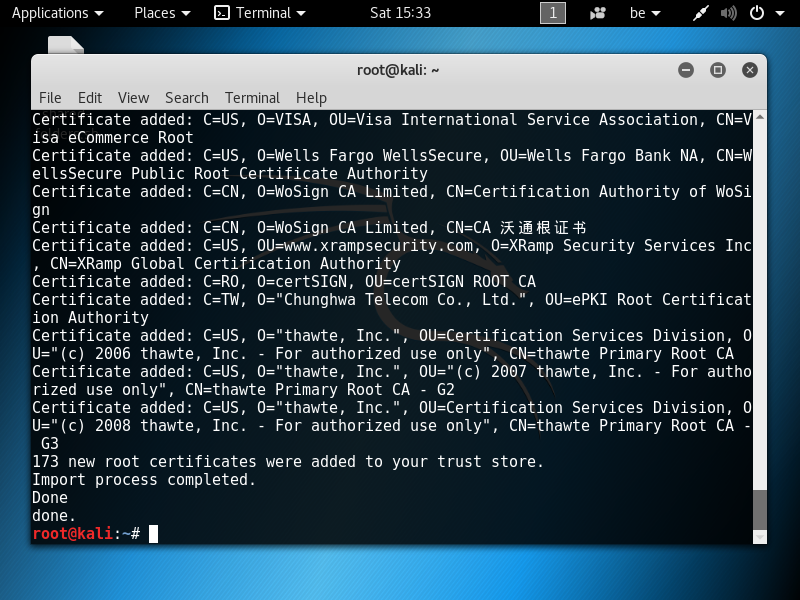 An arrow connects the 2 ports, and the titles turn black (no errors). 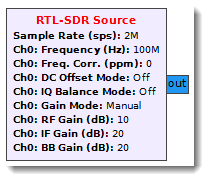 The default frequency of block “RTL-SDR Source” is 100 MHz. 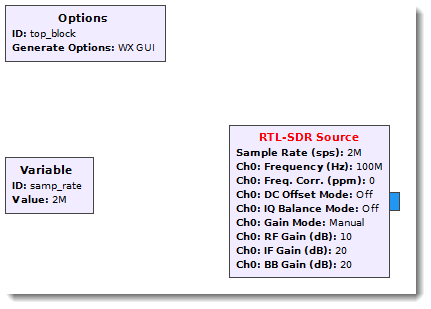 I will tune this to a local FM radio station at 100.6 MHz. 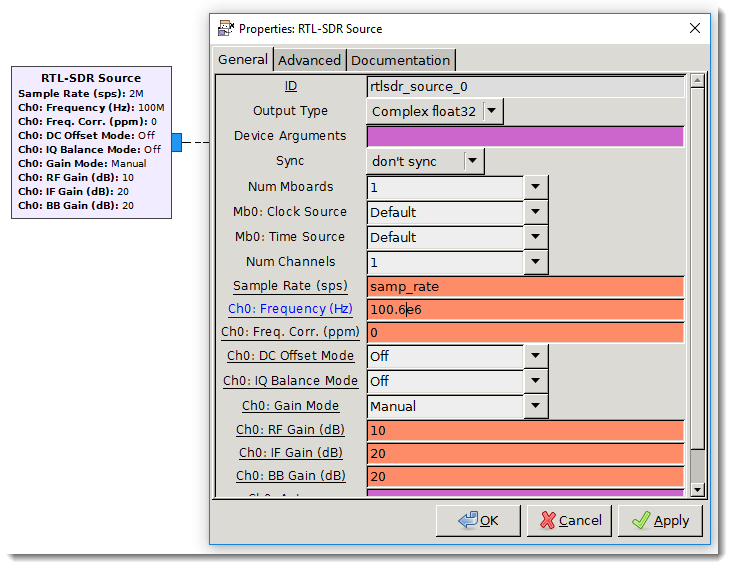 Double click the “RTL-SDR Source” block, and edit the Ch0 Frequency: 100.6e6 is 100600000 or 100.6 MHz (e6 is the exponent notation for 1000000, 6 zeroes). 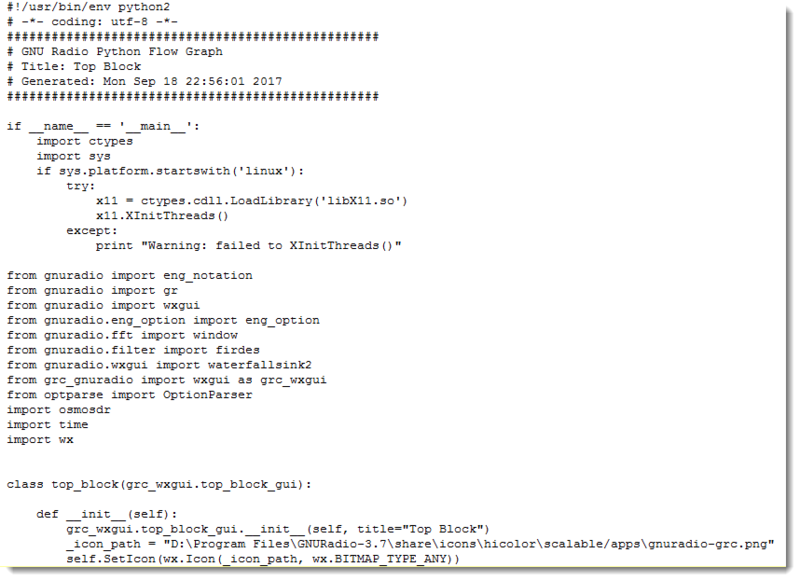 We can now save the flow graph. 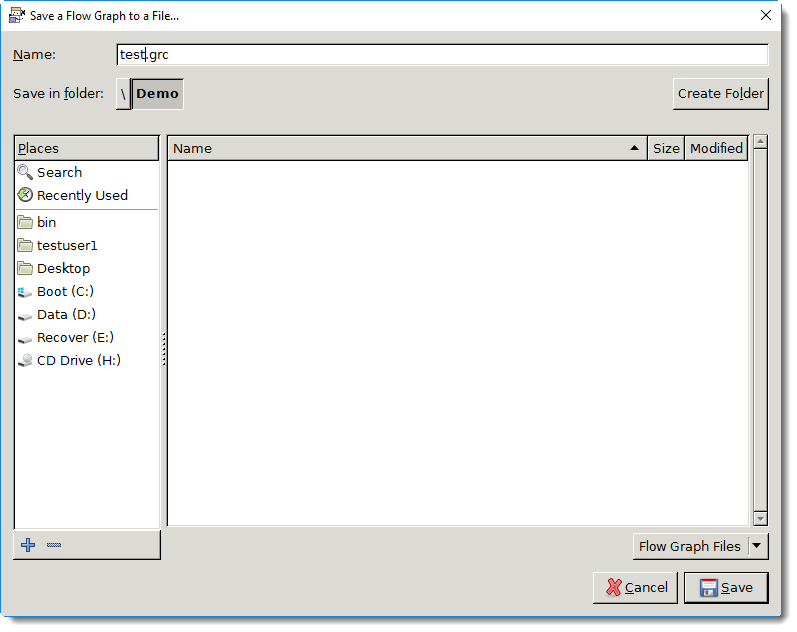 A flow graph has to be saved before it can be executed, if it is not saved, GNU Radio Companion will display a save dialog box when you execute the flow graph. 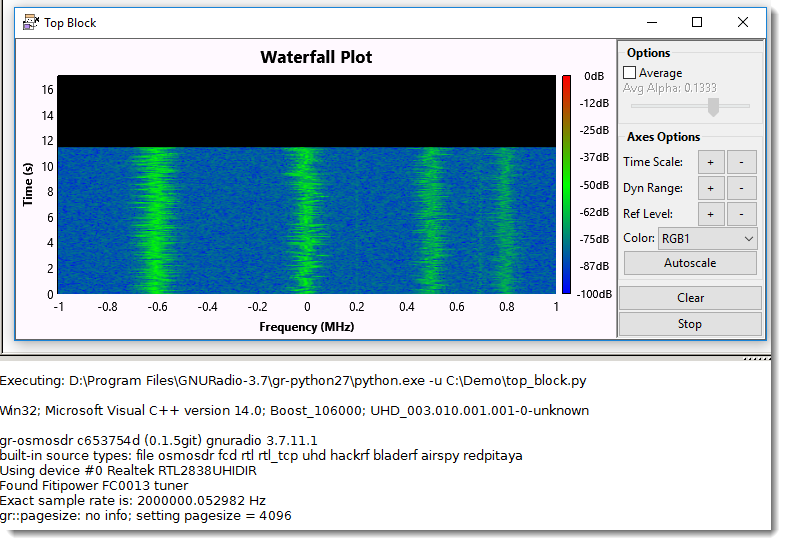 The green bands represent the signals of broadcast stations, and in the terminal you can see that a top_block.py program was generated and executed, and that GNU Radio is able to connect to the SDR device and get data. 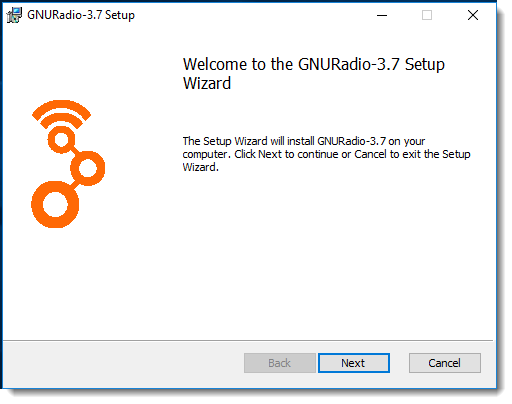 I’ve been using GNU Radio & GNU Radio Companion with the GNU Radio Live SDR Environment, but now I’ve switched to GNU Radio on Windows (I’ve seen posts that it’s stable now). 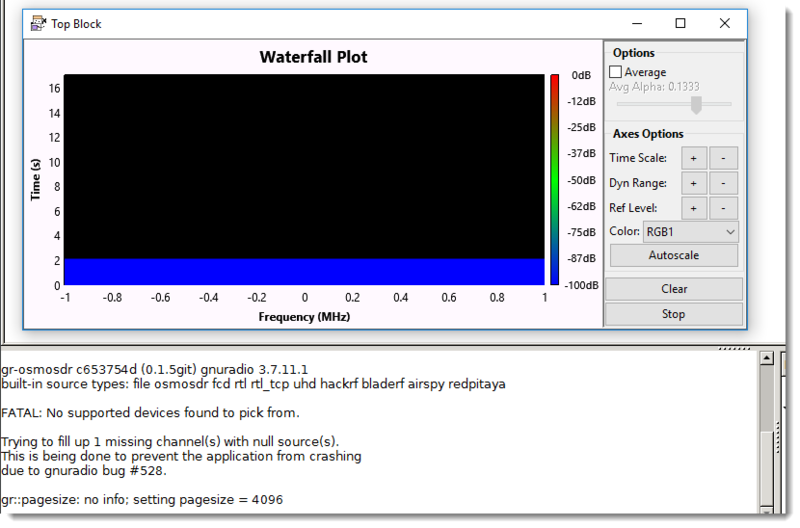 Next, install drivers for my HackRF One and RTL-SDR with Zadig. 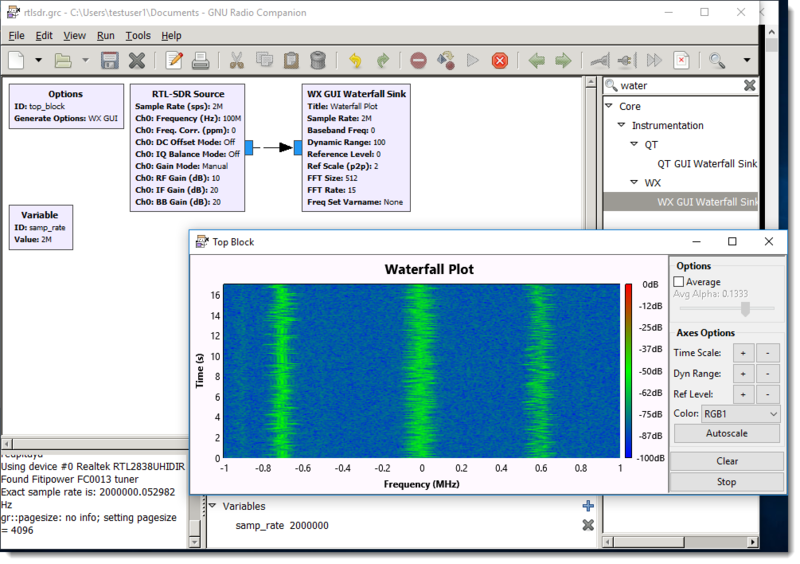 If GNU Radio is not receiving I/Q data from your SDR, the waterfall plot will be pure blue, and you will see a message attesting to that in the terminal. 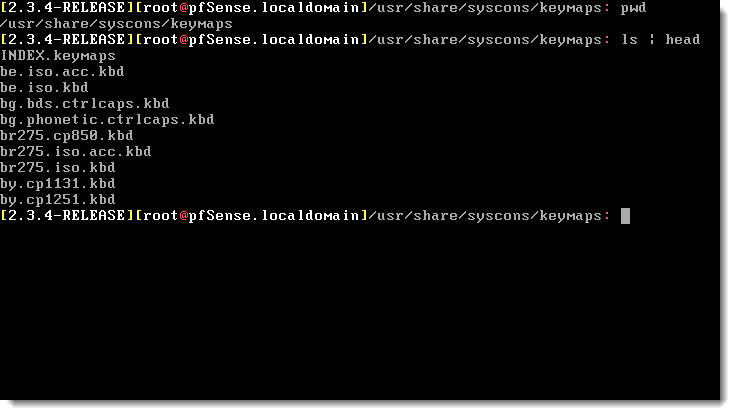 I used my PyBoard microcontroller + LCD160CD screen as a name tag at 44CON. 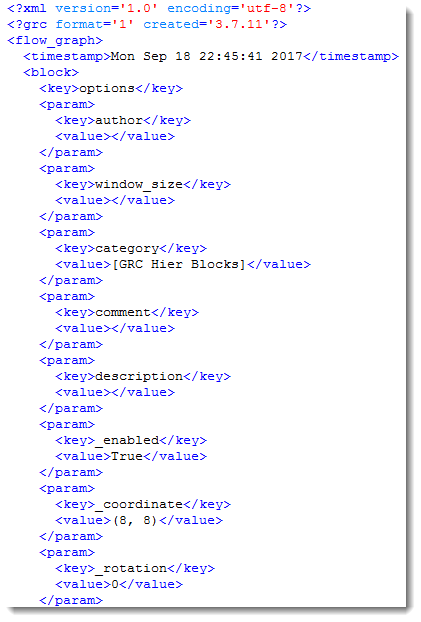 I had to do some research, as I could not find example code to get the text scrolling working. 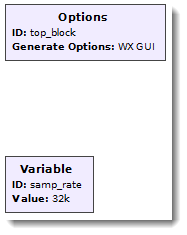 The key to the solution was to set the direction to 2 (-x). 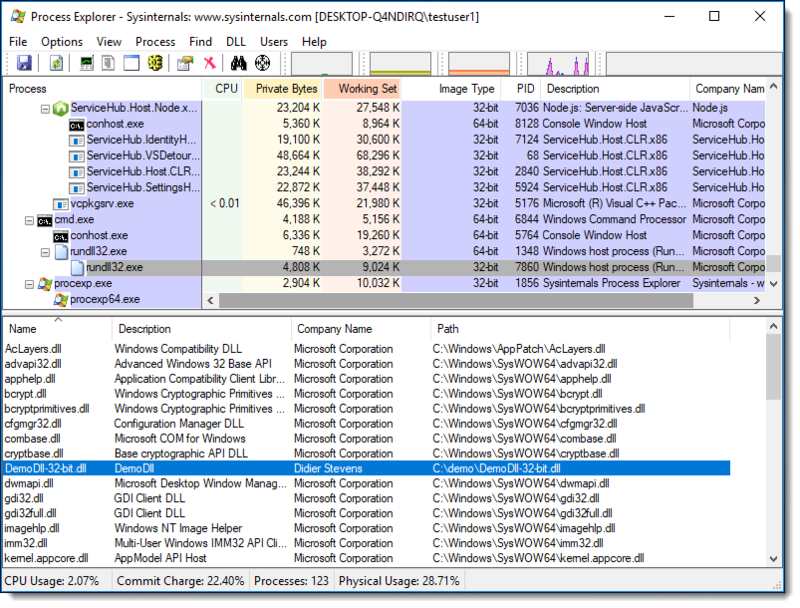 This is a quick demo on loading DLLs with standard Windows tools. 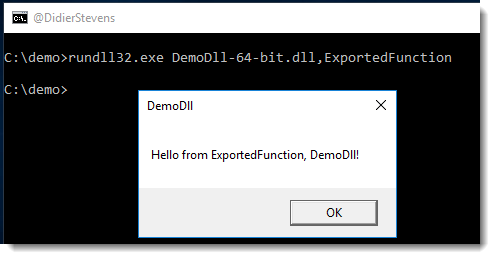 A message box is displayed when DllMain (the entrypoint for DLLs) is called when the DLL is loaded into a process, and another message box is displayed when function ExportedFunction is executed. 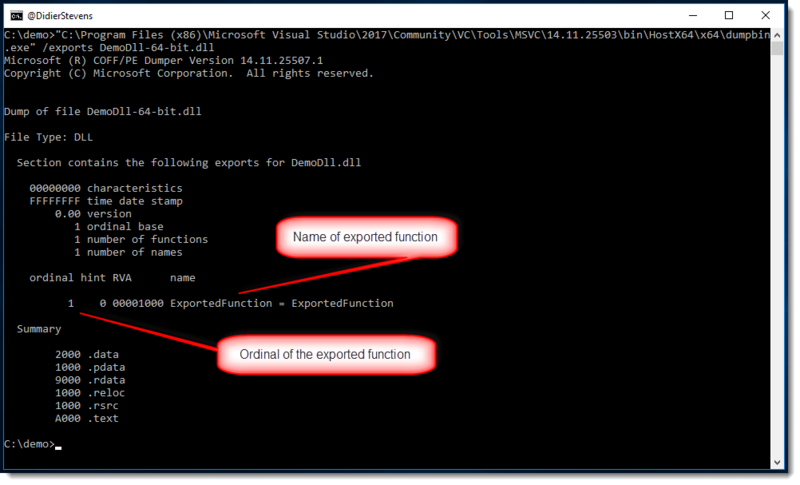 Function ExportedFunction is prefixed by __declspec(dllexport) to export the function, and with extern “C” to prevent C++ name mangling. 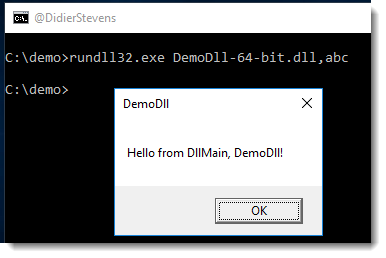 No message box is displayed: the DLL was not loaded. 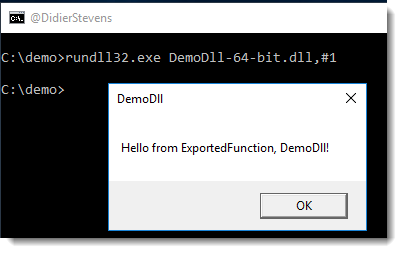 The reason is that rundll32 requires you to specify an exported function that it needs to call. 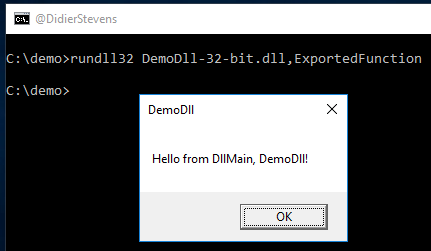 This means that the DLL was loaded into the rundll32 process, and that the called function was executed. 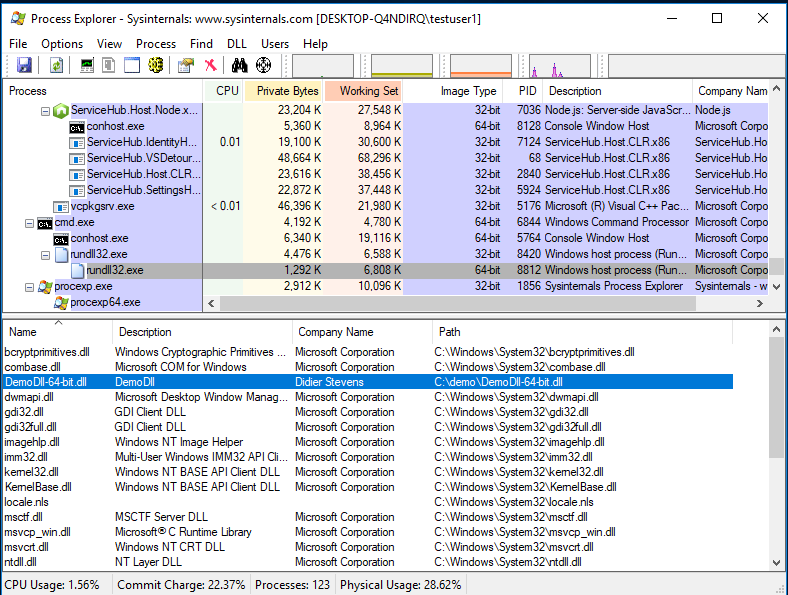 But as we could see, the DLL got loaded. 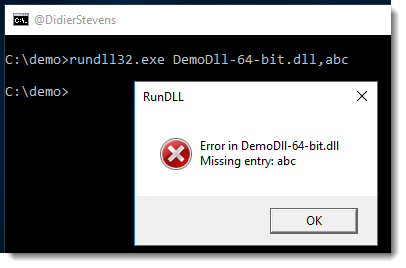 Despite the name would make you think (rundll32), the version of rundll32 I used is a 64-bit executable, and that’s why I used a 64-bit DLL. 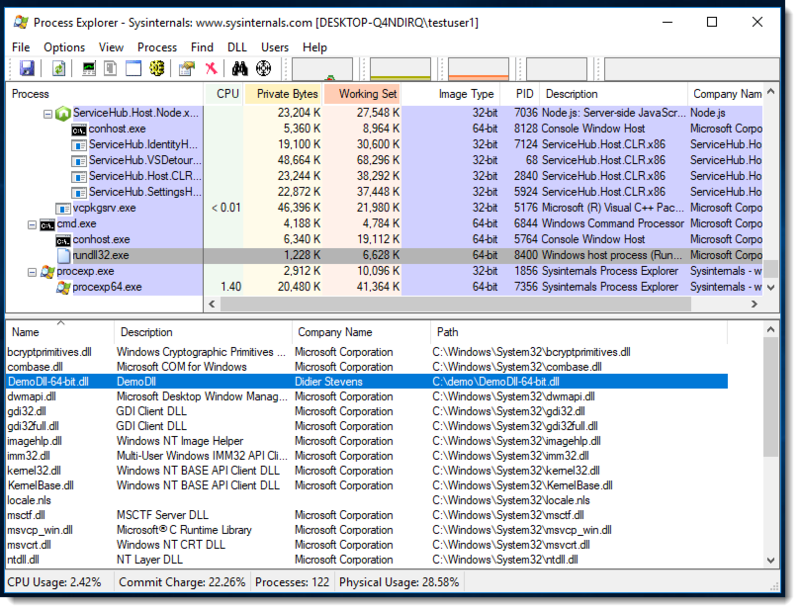 32-bit DLLs have to be loaded into 32-bit processses, and 64-bit DLLs into 64-bit processes. 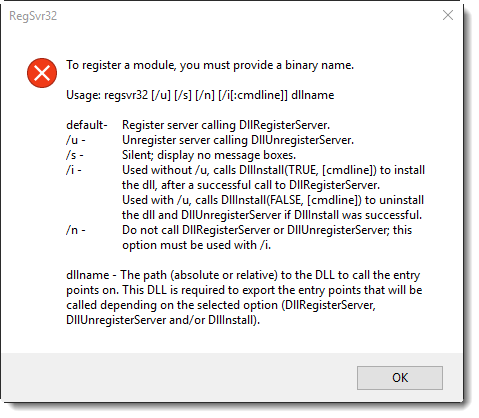 However, rundll32 will start a “proxy” process if you mix bitness, so that DLLs will always be loaded. 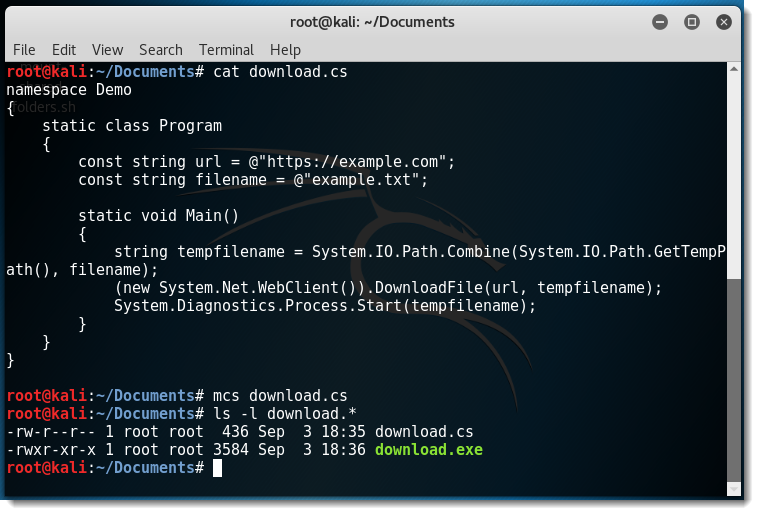 You have to provide an absolute path. 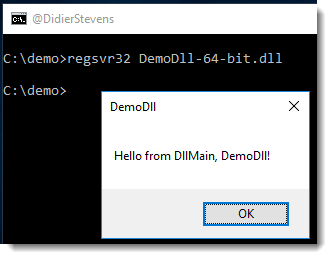 Finally, another method to load a DLL is with regsvr32. I’ve started to use regsvr32 long ago, when I developed ActiveX object: you used it to deploy ActiveX objects on machines. 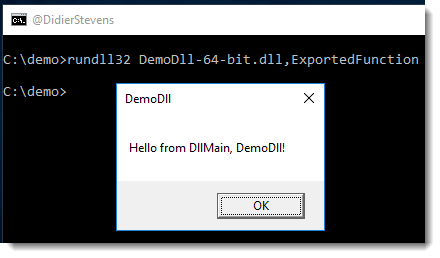 But the DLL was loaded. 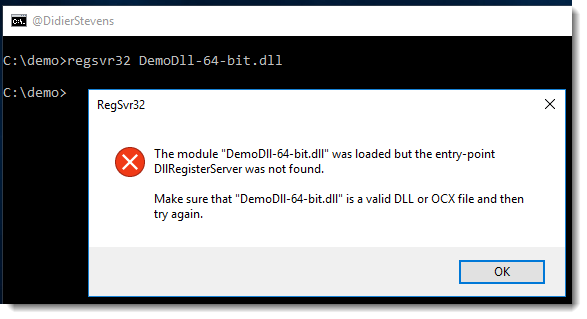 If we export a function named DllRegisterServer in our DLL, it would get executed. 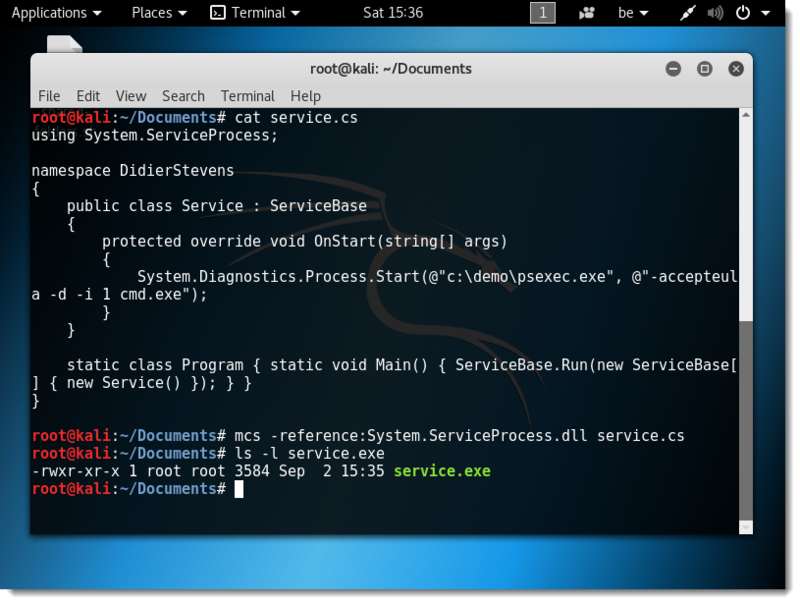 I knew you could run .NET executables on Linux with Mono, but I didn’t know you could run services too. 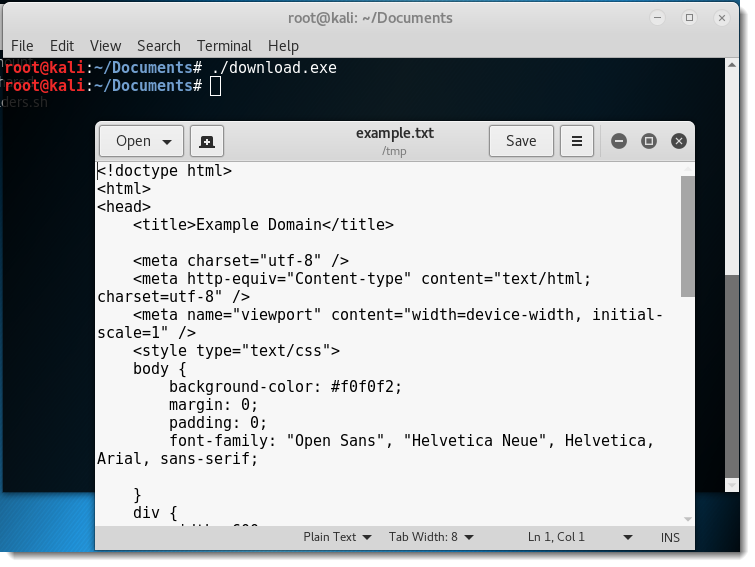 A new option in this version: -x (–hex) to produce hexadecimal output. 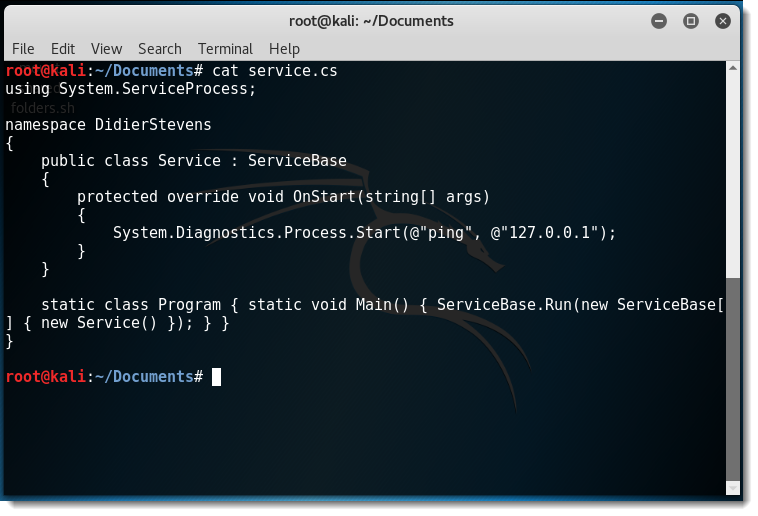 The Windows service I used in my previous blog post can also be compiled on Kali (or other Linux distros or OSX) using Mono.